For many consumers, fainting spells are common after spending hours in the heat or when they haven’t had enough water. Though fainting can be a bit nerve-wracking, it usually doesn’t cross consumers’ minds after the initial shock has worn off. However, a new study conducted by researchers from The Ottawa Hospital found that fainting can sometimes be a sign of a more serious medical condition, and some patients need to be monitored longer than others after fainting as a precaution. The researchers set out to classify patients as either low-, medium-, or high-risk post-fainting based on their likelihood of developing an arrhythmia. Prior to the study, Dr. Thiruganasambandamoorthy and his team developed a tool that doctors can use in the emergency room to help them identify the patients who appear to be at a higher risk of having an irregular heartbeat -- which is common after fainting, but can often lead to other medical conditions. The researchers evaluated over 5,500 participants, 74 percent of who were classified as low-risk, 19 percent as medium-risk, and seven percent as high-risk. Within 30 days of fainting, over 3.5 percent of patients experienced an arrythmia, though it happened at different times for the patients depending on their risk classification. According to the researchers, low-risk patients are usually able to leave the hospital after two hours, and they typically don’t require a follow-up appointment. However, both medium- and high-risk patients should stay at the hospital for at least six hours after fainting, at which point the doctor should decide whether they can go home with additional monitoring or stay in the hospital for more up-close monitoring. 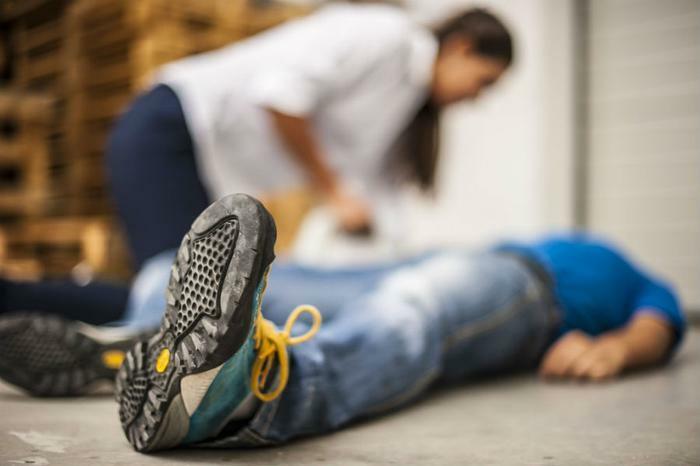 Though the researchers note that the majority of patients that enter into emergency rooms after fainting are low-risk cases, it’s important for consumers to be aware of the potential risks that are associated with fainting. While the researchers from this study were most concerned with patients developing arrhythmias after fainting, a recent study conducted by researchers from the Johns Hopkins Bloomberg School of Public Health found that fainting or dizziness when standing up from a seated position is linked to an increase risk of dementia or stroke. Researchers say the lightheaded feeling -- or fainting spell -- which is known as orthostatic hypertension comes from a drop in blood pressure, but it could also be a sign of dementia or stroke later in life. The study found that those who experienced orthostatic hypertension at a young age were over 50 percent more likely to develop dementia as an older adult.